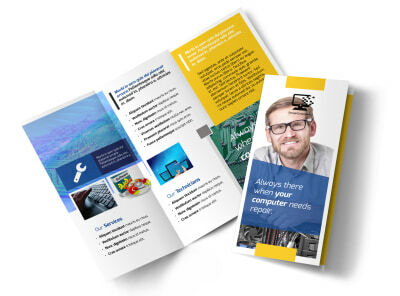 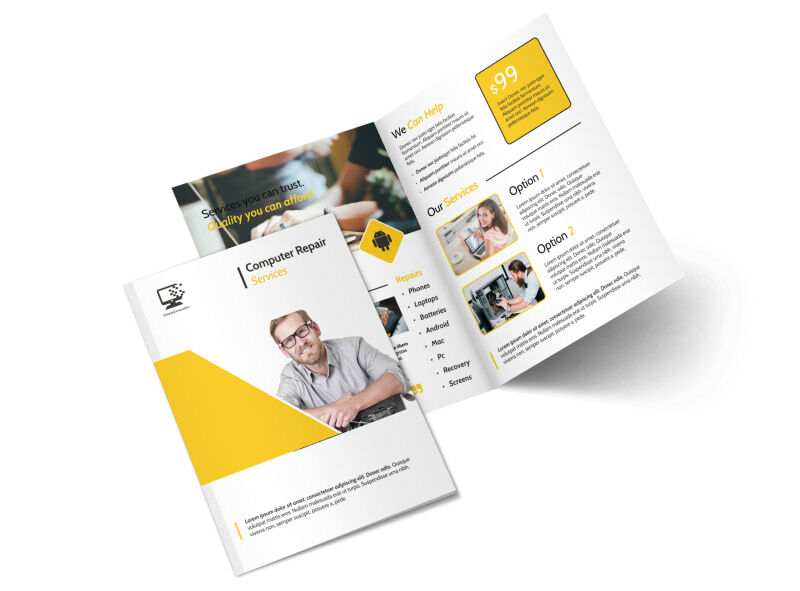 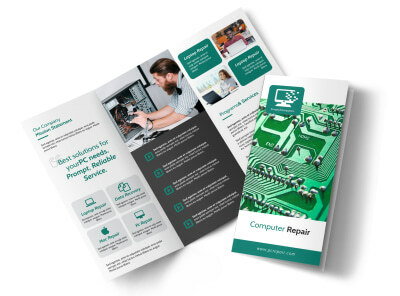 Customize our Yellow Computer Repair Bi-Fold Brochure Template and more! 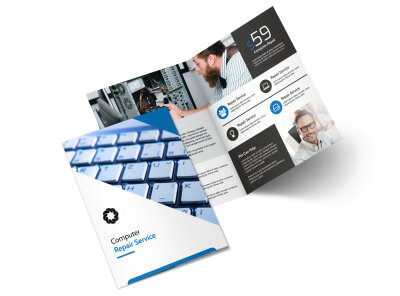 Fixing stuff is your thing, so let computer owners know your own geek squad is standing ready with this brochure to promote your computer repair business. 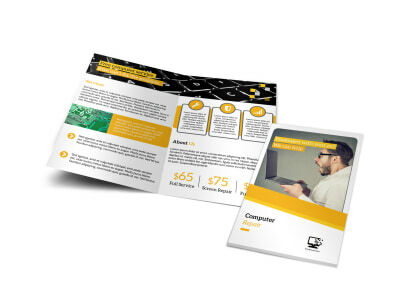 Customize by choosing from many different fonts, colors and add images or graphics of your own. 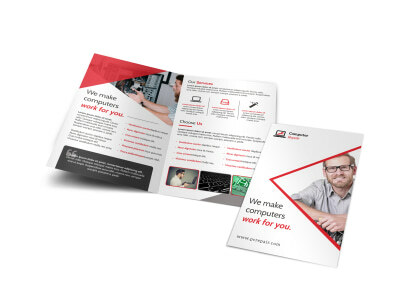 Get in touch with our online editor today to get started!